The summer season is quickly approaching, which means plenty of outdoor activities will soon become available. Going to the beach, swimming, getting a tan, attending outdoor music festivals, boating or kayaking, playing with your kids outside, having family and friends over for a barbecue, and many other fun activities await! Unfortunately, many men and women struggle with excess body fat that can lead to lowered self-confidence and a reduced desire to wear skin-baring clothing. As many of us already know, a healthy diet and daily exercise can only remove a limited amount of fat, so many of us are left with stubborn fat deposits. The warm summer weather is perfect for you to enjoy the outdoors. If you are embarrassed by unwanted fat, liposuction can help eliminate localized fat in specific areas and improve your overall body contour. Why Should I Get Liposuction? Millions of men and women have safely undergone liposuction surgery and enjoyed satisfying results. Dr. Wald is a board-certified plastic surgeon who utilizes advanced technologies and applies his vast surgical experience to achieve each patient’s desired results. During your consultation, you will discuss which areas of your body cause the most grief and what your goals are to determine the ideal approach for your procedure. Abdomen: Fat can be removed from the abdomen using liposuction, and sometimes a tummy tuck is performed to rid the stomach of extra hanging skin. A tummy tuck can also repair damaged rectus muscles to produce optimal results. Arms: Liposuction can remove excess fat from the upper arms to enhance definition and create a toned appearance. Back, Waist, and Hips: Overhanging or bulging fat on the back, sides, or hips (often referred to as the flanks) can be targeted with liposuction. Undesirable love handles can be removed using this technique as well. Breasts and Chest: Gynecomastia surgery gently removes excess breast fat in men using liposuction. Additional male body surgery techniques can also be performed to enhance other areas of the male body to achieve a more masculine, chiseled frame. Some female patients also benefit from removing excess fat from their chest, bust, or bra line areas to meet their cosmetic objectives. 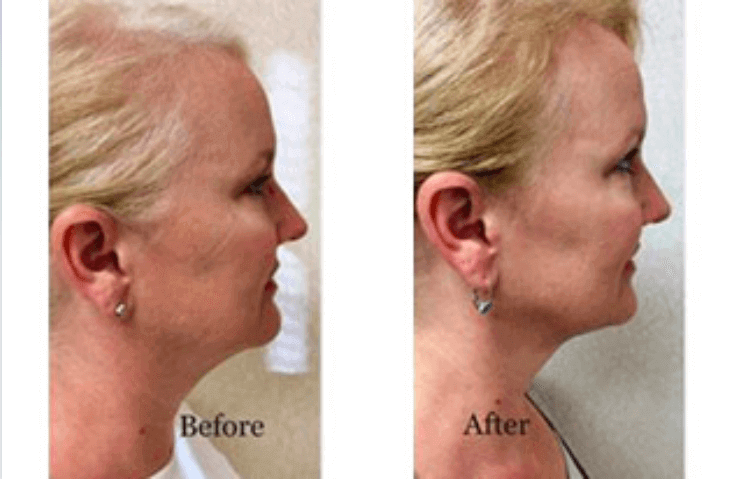 Chin and Neck: Excess fat below the chin and around the neck can be eliminated with liposuction to improve their natural contours and enhance the definition of the lower face. Thighs: Fat surrounding the thighs can cause uncomfortable rubbing and chaffing. Liposuction can improve the shape and definition of your legs and reduce discomfort during physical activities. Liposuction is an effective, safe, and permanent method of removing excess fat from the body. After general anesthesia is administered, the targeted fat cells are gently removed using a small suction device known as a cannula, and fat cells are permanently extracted. The incisions are small and placed strategically to conceal any scarring. Following your post-surgery instructions carefully will result in a defined, contoured physique that will appear more toned and ready for your favorite swimsuit. Do you have troublesome fat that refuses to go away after dieting and exercising? Liposuction might be what you need to feel your best just in time for the summer season. Contact our office to schedule your consultation by calling (714) 312-3549 today! This entry was posted on Wednesday, January 16th, 2019 at 12:32 pm	and is filed under Liposuction. Both comments and pings are currently closed. The demand for plastic surgery continues to stay on the rise. According to the American Society for Aesthetic Plastic Surgery 2016 statistics, more than $15 billion dollars were spent on plastic surgery in the last year. It isn’t surprising though, as most people care about their looks and want to stick to the societal standard to maintain a young and fresh appearance. Some might try to improve their body and/or face with diet, exercise, and at-home treatments, but even with rigorous efforts, they have little to no success. The only way for some people to meet their aesthetic goals is through plastic surgery. However, plastic surgery is a serious process, and it may not be for everyone. How do you know if you are ready for plastic surgery? Are You a Plastic Surgery Candidate? Are you realistic in your expectations? : Plastic surgery is designed to enhance and rejuvenate a person’s natural features. Patients should be realistic in their expectations. They should be aware that plastic surgery is not going to provide them with a dramatic change but rather a more youthful, enhanced version of themselves. Are you physically healthy? : Surgery involves anesthesia and recovery. Someone who is not physically healthy has a higher risk of complications. Patients should be honest with their surgeon about their medical history and any current medical conditions. If a surgical procedure appears unsuitable for a patient, Dr. Wald offers a variety of non-surgical treatments, such as SculpSure®, that provide beautiful results without as many risks and with minimal recovery time. Have you already tried diet and exercise to achieve your goals? : Patients considering body contouring procedures such as liposuction should not treat plastic surgery as a weight loss method. It is recommended that patients be at or near their ideal body weight with only a few pockets of fat they would like to target. Are you willing to maintain your results? : Plastic surgery is not a permanent solution to one’s body and facial flaws. The best patients are willing to maintain their results with a healthy diet and lifestyle. Patients should stick to a regular exercise regimen and skin care routine to achieve a longer-lasting outcome. It is also highly recommended to refrain from smoking and consuming alcohol in excess. Are you a candidate for cosmetic surgery? If you answered yes to the above questions, now is the time to schedule a consultation with Dr. Wald. He can discuss your goals and concerns as well as evaluate your anatomy and health to help you decide if you are suited for a cosmetic procedure, whether surgical or non-surgical. Dr. Wald will go over all of your options and design a personalized surgery plan. Dr. Wald is a board-certified plastic surgeon who is skilled and experienced in performing several procedures and techniques for the face, breasts, and body. Schedule your consultation by calling us at (714) 312-3549 or fill out our online contact form. This entry was posted on Wednesday, May 31st, 2017 at 9:10 am	and is filed under Body Contouring, Cosmetic Surgery, Liposuction, Male Cosmetic Procedures, non-surgical treatments, Plastic Surgery, SculpSure®. With summer just around the corner, everyone is getting ready to enjoy the warmer months. The pool, the beach, and outdoor barbecues are common activities people partake in during the summertime. As the sun comes out, many people tend to show more skin to stay cool in the hot weather. Some people may be panicking and worried about getting beach body ready. The idea of bikinis, shorts, or tank tops might be causing people to diet and exercise so they can feel confident with their bodies in more revealing fashions. However, genetics and a person’s age can make it hard for them to meet their body goals. When diet and exercise have failed, plastic surgery could be an ideal option for achieving your desired physique. With so many new advancements in body contouring, an individual can get the body they want when at-home efforts are ineffective. Tummy tuck surgery: Postpartum patients and people who have lost a significant amount of weight often find it difficult to target unwanted fat and skin in the stomach area. Tummy tuck surgery is designed to eliminate excess abdominal fat and skin and tighten the abdominal muscles to create a slimmer, more defined waistline. Liposuction: Stubborn fat accumulations are a common problem for all different types of individuals. Liposuction can be performed on any area of the body that has unwanted pockets of resistant fat. Breast lift surgery: Aging, genetics, weight loss, and many other factors can contribute to breast sagging and laxity. Breast lift surgery can be performed to restore the breasts to a more youthful position by lifting the breast tissue. Breast augmentation: Lack or loss of breast volume is not something that can be corrected with diet and exercise. Breast augmentation can alter the shape or size of the breasts using saline or silicone breast implants. Whether you want to get rid of excess fat or correct the appearance of the breasts, Dr. Wald can help you achieve your desired look. Patients can choose to undergo one or a combination of body contouring procedures depending on their body and goals. Those who are apprehensive about a surgical procedure may be candidates for some of our non-surgical techniques. SculpSure® is an ideal option for those who do not want to or cannot undergo surgery. With minimal downtime and pain, SculpSure® can flush out and destroy fat cells to create a smoother, thinner waistline. If diet and exercise have failed to help you get beach ready, you might be interested in one of our body contouring options. Schedule your consultation with Dr. Wald today! He is a board-certified plastic surgeon who has the experience and skills to help you achieve your body goals. Contact us by calling (714) 312-3549 or by filling out our online contact form. This entry was posted on Thursday, May 18th, 2017 at 7:46 pm	and is filed under Breast Augmentation, Brow Lift, Liposuction, SculpSure®, Tummy Tuck. I Want My Pre-Baby Body Back! Although they are a wonderful gift, a lot of sacrifices come with having children. A woman’s entire life changes when she decides to start a family. Among the most frustrating transformations involves her body. Pregnancy and breastfeeding wreak havoc on the physique; the stomach expands to make room for a growing baby, the body begins to develop excess fat, and the breasts change in size as they start to produce milk for breastfeeding. After childbirth, the body might not revert to its original, pre-baby state. Many women find that diet and exercise fail to address these inevitable changes. Mommy Makeover surgery is an ideal option many mothers consider. What Can I Achieve With Mommy Makeover Surgery? A Mommy Makeover combines procedures for postpartum body contouring. Breast and body procedures can help a woman to reverse the effects of pregnancy to create firmer, more youthful contours. Depending on the characteristics that need to be addressed, Dr. Wald can create an individual surgery plan for your Mommy Makeover. The breasts are completely different following pregnancy. Once a woman is finished breastfeeding, she might start losing the volume and shape of the breasts she once had. Breast lift surgery is an ideal procedure performed to restore lost skin elasticity that causes the breasts to sag (ptosis) by lifting them into a more youthful position. Some women will lose a significant amount of breast volume after pregnancy and notice they no longer have the large, full breasts that they once had. Breast augmentation surgery is designed to change the size and shape of the breasts by inserting saline or silicone implants. With so many breast implant types and incision options, a woman can have breasts that uniquely fit with the rest of her body. Breast lift surgery is commonly combined with breast augmentation to create larger breasts while correcting ptosis. A developing baby needs room for growth. The stomach expands throughout pregnancy and often results in weak abdominal muscles, excess tissue, and stretch marks. Abdominoplasty, or tummy tuck surgery, is designed to restore the abdominal muscles and get rid of the belly “pooch.” An incision is made from hip bone to hip bone just above the pubic line. Through the incision, fat is excised, and weak abdominal muscles are tightened and sutured together. Excess skin is removed, resulting in a reduction in stretch marks. Patients are happy with their slimmer, more toned abdomen. In addition to abdominal fat, many mothers gain excess bulges in other areas of their bodies. Even with a regular diet and exercise routine, unwanted fat is often unresponsive. Liposuction can be performed on any area of the body. Commonly, post-pregnancy women address the stomach, love handles, thighs, and hips. Liposuction involves the removal of excess fatty tissue using a cannula hooked up to a vacuum device. Many tummy tuck patients also undergo liposuction to help them achieve an overall better shape in the abdominal area. If you are ready to get your pre-baby body back, Dr. Wald can help! He can evaluate your body and goals to help you decide on the right procedure for you. Schedule your consultation by calling us at (714) 312-3549 or by filling out our online contact form. This entry was posted on Tuesday, March 14th, 2017 at 6:52 pm	and is filed under Abdominoplasty, Breast Augmentation, Breast Lift, Liposuction, Mommy Makeover, Tummy Tuck. You have decided that you are ready for plastic surgery, and now it is time to book your appointment. The question you may be asking yourself is, “When should I schedule my surgery?” Most patients find that the ideal season to undergo plastic surgery is winter. Whether you want a breast augmentation or liposuction, the cool weather makes winter the perfect time to schedule your procedure. Plus, with a new year just starting, why not get your face and body into shape to look your best for 2017! Plastic surgery results do not appear overnight. Most patients will have residual swelling for six months to one year. Someone who is wanting to get their body in shape for summer would ideally need to undergo their procedure during the winter or early spring. This allows time for swelling and bruising to subside and for surgical wounds to heal. Once the entire recovery process has come and gone, patients can be ready to show off their new results at the beach or pool this summer. Once the temperature drops, many people find themselves layering their clothes and snuggling up. Staying comfortable and relaxed away from the sun and activities is conducive to a healthy recovery. Winter is a convenient season to bundle up and stay indoors to ease through recovery. After the procedure, the recovery is the most important process. The American Society of Plastic Surgeons can provide you with all the information you need to know about the recovery for your particular surgery. Life gets crazy, and every once in a while, we need a vacation. After undergoing plastic surgery, why not use some vacation time to take a “staycation”? Most operations will require a week or two of recovery. You should allow yourself to stay home or in a comfortable environment for postoperative care. Patients who take their recovery process seriously will benefit by achieving the best results possible. Winter time is all about throwing on extra clothing to stay warm and protect the skin from the dry weather. Many plastic surgery patients will notice their swelling, bruising, and surgical wounds are easier to conceal this time of year. Patients can discreetly recover from their surgery without revealing their body before unveiling their final results in the warmer months down the line. If you want to undergo plastic surgery before the weather heats up, you should schedule your consultation with Dr. Wald today! He can evaluate your face or body to help you decide on the best procedure for you. Contact us by calling (714) 312-3549 or by filling out our online contact form. This entry was posted on Tuesday, February 21st, 2017 at 10:22 pm	and is filed under Breast Augmentation, Liposuction, Recovery.